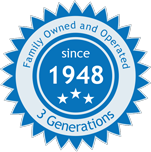 2015/2 - Blog - Har-Man Importing Corp.
“Constantly improve what is good.” That is a quote by Swarovski’s founder, Daniel Swarovski. This mantra is still resonates strongly today and is the reason why Swarovski is constantly pushing the envelope to ensure their crystal stays better than any other crystal made today. The development of the new XERO Chaton is a perfect example of this. 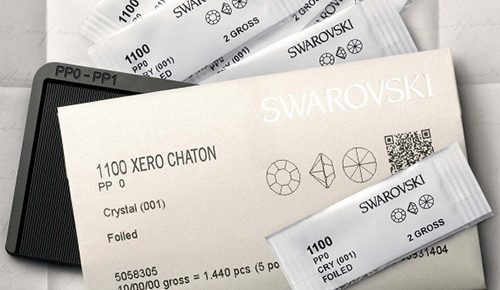 Launched in February 2015 with this Spring/Summer 2016 Product Launch, Swarovski unveiled a new chaton called the XERO Chaton (pronounced Zero) which is the world’s smallest precision cut crystal. A Swarovski Crystallized Diet Coke? Coca Cola offered to select fans the opportunity to win their very own bedazzled aluminum Diet Coke bottles by sharing who they think will win the top awards at the 2015 Oscars. Cinderella’s glass slippers and Dorothy’s Ruby’s Red Slippers are arguably the most famous shoes of all time. 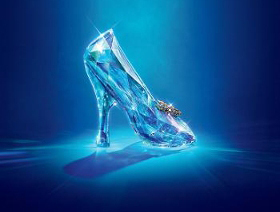 And Swarovski has brought Cinderella’s glass slippers to life in the new Walt Disney Film, Cinderella, due in theaters next month -- March 2015. 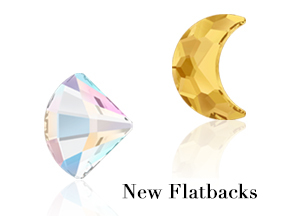 Swarovski recently released their new Spring/Summer 2016 Innovations which include some innovative new rhinestones shapes: The Fan and The Moon. We always love new rhinestone shapes and with these new innovative cuts by Swarovski, we are definitely not disappointed.